Very annoying, this cannot be programmed with either an android phone/ tablet or a windows app. .. for some reason it only sees one address regardless which of the buttons you push when using an android device. Works fine with the mini remote, key pad link, etc. I use android, so is of limited use for me. Smarthome.com did not post my review. ..but did acknowledge this is an issue. If you can't program both buttons, you also cannot use it with echo. .. just be aware, you are fine with the fruit though. 50% of the functionality, 100% of the cost. Don't expect to be able to take advantage of all this device has to offer unless you own an iOS device. With Android or Windows you can only control one of the two outlets. This is not mentioned anywhere in the documentation or support materials. It's false advertising and really unfortunate. It also doesn't include the outlet cover/faceplate. I'm sorry but for $50 you can't include a standard white cover that costs maybe a nickel to make? 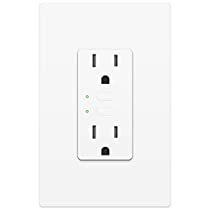 This dual outlet only shows up as a single in my Android and Windows insteon apps. Only the top outlet is controllable thru the hub with Android or Windows. From what I've researched it works as intended with iOS so the outlet itself must not be the problem, which brings me to the title where I stated "support....well". I find it unacceptable that they didnt mention the Android and Windows dual control problem in the advertising and haven't addressed it as of yet either. 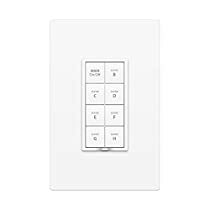 I like the insteon products that I have and ultimately I kept this outlet even though I can only remotely control or schedule half of it. 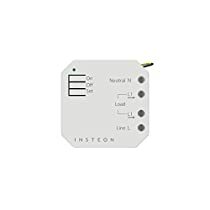 I really hated to give an insteon product 1 star because they have solid products in my experience, but this half functioning outlet and the fact it hasn't been addressed or at least acknowledged in the advertising to would be buyers has earned it imo.